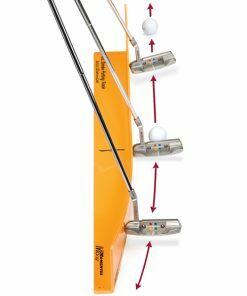 The Inside Down the Line™ (37″) Putting Track is a revolutionary breakthrough in game improvement for putting. 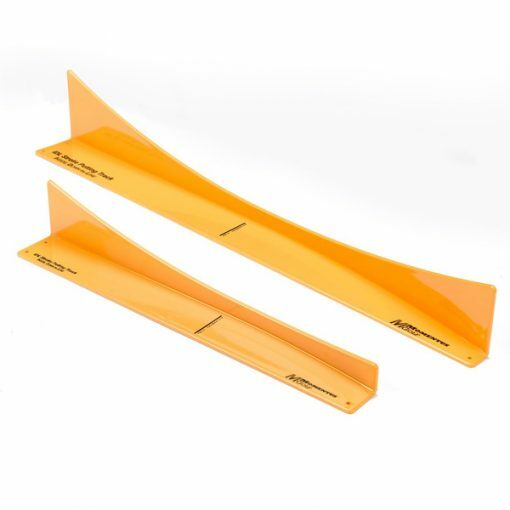 The best putters in the world will admit that they try to swing the putter a little inside on the back stroke and then release the putter head down the line on the through stroke. 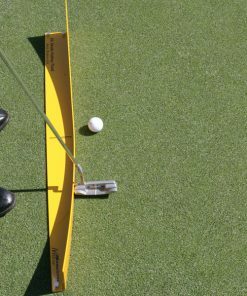 It only makes sense, if you want the ball to go straight down the line, you need to release your putter head down the line. The Inside Down the Line™ Putting Track will teach you to putt like the best players in the world. 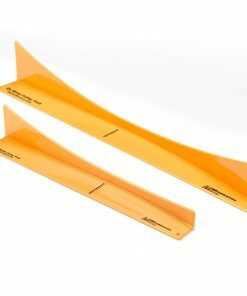 Simply place the heel of your putter against the vertical portion of the track. 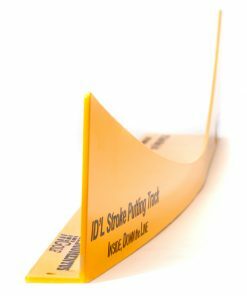 As you make your stroke, allow the putter head to stay in contact with the Inside Down the Line™ Putting Track at all times. 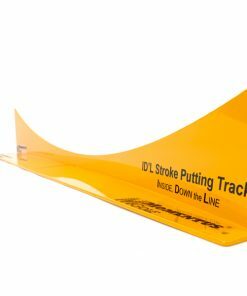 The putter head will swing a little inside, then down the line on the through stroke. 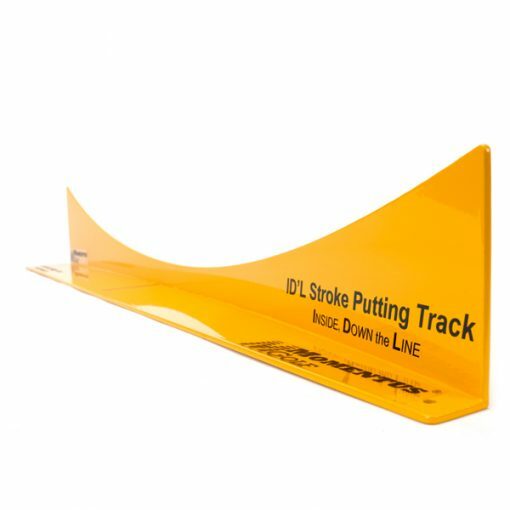 You won’t believe how many putts you can make using the Inside Down the Line™ Putting Track. It will feel natural, effortless, and the results will be remarkable! You notice the ball rolling like it has over-spin on it. 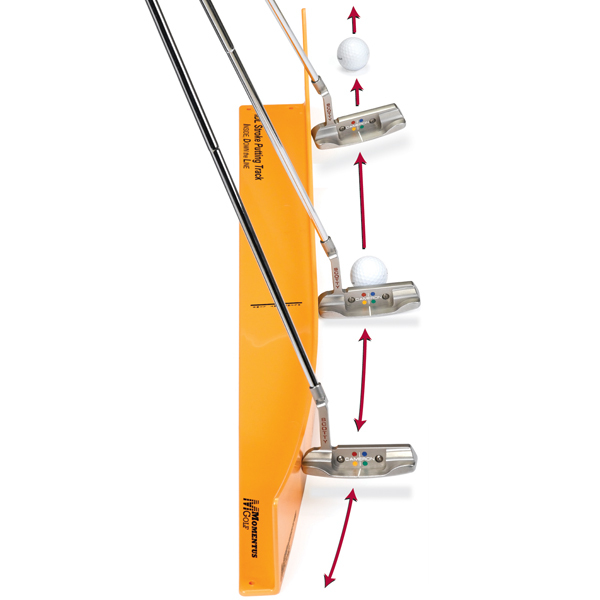 The ball will track right down your line and into the cup using the Inside Down the Line™ Putting Track. 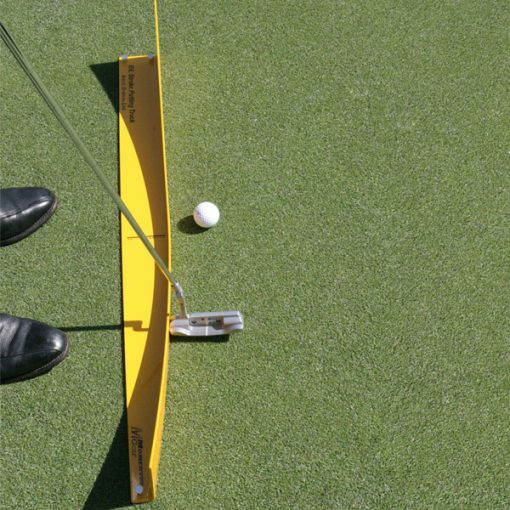 You’ll train yourself to repeat this perfect putting stroke with your own putter to sink more putts and lower your scores. 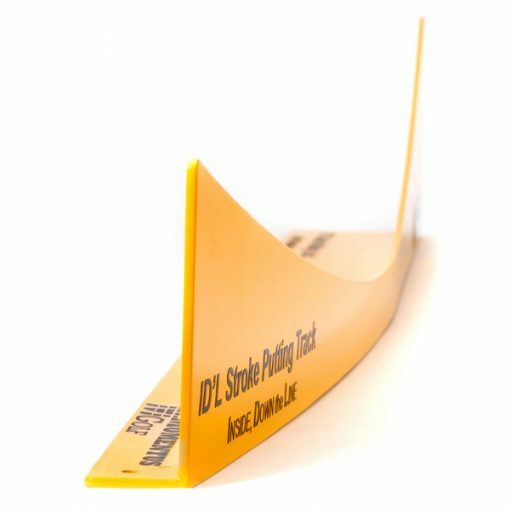 The Inside Down the Line™ Putting Track is the IDEAL putting aid to improve your putting for good.